Ann Curry is searching for a solution. WarnerMedia Entertainment just announced the NBC news anchor will host a new TBS/TNT TV show, Chasing the Cure. Alongside Curry, journalist Kim Bondy (pictured, right) is joining Chasing the Cure as showrunner. The series is set to debut on TBS and TNT on July 25th at 8 p.m. ET/PT. LOS ANGELES, MARCH 19, 2019 – WarnerMedia Entertainment today announced the premiere date and showrunner for Chasing the Cure (formerly known by its working title M.D. Live) from TNT and Lionsgate Television. This is a groundbreaking enterprise anchored and executive produced by award-winning journalist and humanitarian Ann Curry. It brings together a weekly live two-hour television broadcast with a 24/7 global digital platform in an effort to help patients who are suffering from undiagnosed, misdiagnosed or uncured medical mysteries. This enterprise will harness the full power of both television and a multi-platform experience in order to break down medical barriers in service of patients. Additionally, this initiative will foster and empower people across the globe on all screens to become medical detectives. Debuting Thursday, July 25, Chasing the Cure will be simulcast on TNT andTBS from 8-10 p.m. ET. Joining Chasing the Cure as showrunner is Kim Bondy, an award-winning journalist who held top positions at CNN, NBC and Al Jazeera America before becoming Head of Content at Soledad O’Brien’s Starfish Media Group in 2017. Through a 24/7 digital experience and interactive components including live, second-screen experiences, suggestions, along with highly accredited doctors, will be able to share their experiences, advice and recommendations on what’s happening during the broadcast in real time – all toward helping find cures for people with mysterious conditions. Additionally, Chasing the Cure will cultivate an online community for everyone to dive deeper into each case, not only empowering every one of us to become medical detectives, but also creating a space for people to provide support to people dealing with undiagnosed conditions. Everyone will have the unique opportunity to submit their own cases via an in-take process to be cared for by an around-the-clock engaged community and considered for the live broadcast. “How could I not want to be part of this project, given the real chance that it will help people suffer less? 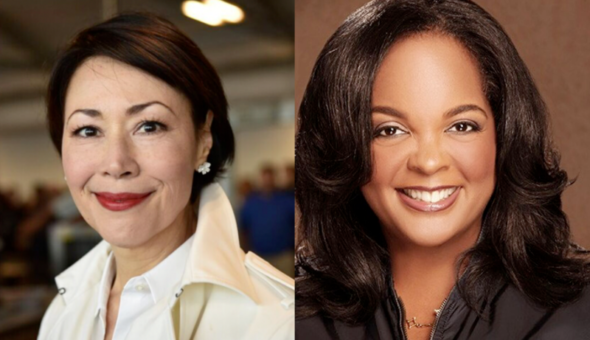 This collaboration of physicians, journalists and television creators is not only groundbreaking, it could potentially help encourage new ways for people to access care,” says Ann Curry. TNT has ordered ten episodes of the series from Lionsgate Television. What do you think? Are you a fan of medical series? Will you check out Chasing the Cure? More about: Chasing the Cure, Chasing the Cure: canceled or renewed?, TBS TV shows: canceled or renewed?, TNT TV shows: canceled or renewed? The Last Ship: Cancelled? Is Season Six of the TNT Series Still Possible? Rizzoli & Isles: Could the TNT Series Return for a Reunion or Reboot?